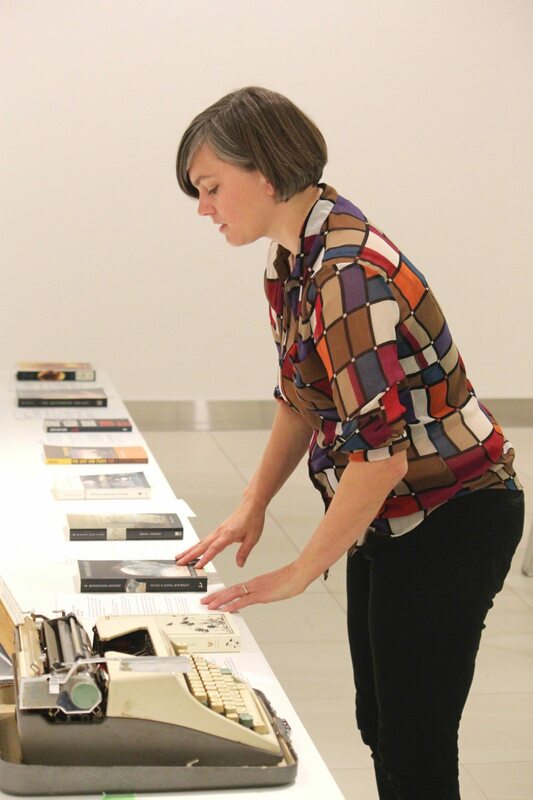 The Canada Council for the Arts is celebrating the 80th anniversary of the Governor General’s Literary Awards with a new interactive art exhibition at Ottawa’s Âjagemô art space, titled People*Places*Things: Reading GG Books. 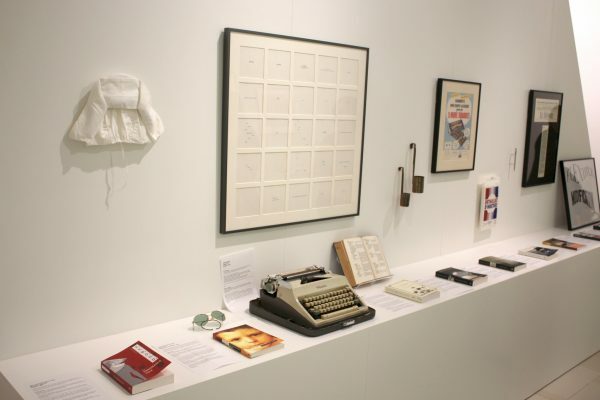 The installation, running until Feb. 24, showcases GG award-winning books alongside manuscripts‚ authors’ notebooks‚ and other literary artifacts‚ as well as a spectator space designated for book clubs and further discussion. Q&Q talked to curator Meredith Carruthers about the project. How did this installation come to be? Âjagemô is a new space for the Canada Council, an interdisciplinary space to bring together different aspects of cultural production that Canada Council supports and to bring to the forefront what’s happening. This is their third exhibition, and they’re working with a different invited person to either curate or create each. I work on exhibitions related to design and culture. The council was in touch with Art Text, which is a research library here in Montreal, where I’d been doing a research residency and a workshop series about books and the action of reading. And I’m an avid reader, so that came into play. What were your goals? I was thinking about how we read, why we read, and why it’s important and relevant today to be reading, and also about this process of discovery and rediscovery, and this amazing group of books over this 80-year period. The main challenge was how to take the materiality of books and reading and make it into a space. How did you expand the exhibition beyond just the books? We worked with Library and Archives Canada, where they think about the materiality of books and the drafts and annotations that go into writing, and also the research that makes the books come to life. We were able to find really fascinating details in the GG books and trace them back into objects, people, places, and things, which is kind of the core of the theme in terms of spacialization. We’re incredibly lucky to have some of these artifacts in the exhibition, and we created some that come out of the books themselves. Like for Thomas King’s The Back of the Turtle, in which the plot hinges around an organism designed to increase crop production, we worked with University of Guelph to display an inert version of a similar virus. It was about looking into the research that went into these books and then doing our own parallel research. To see how non-fiction, fiction, poetry, and play-writing touch on everyday life and are incredibly important and relevant in these very charged topics; from the disappearance of bees to environmental issues to the way that imagination works. We also invited literary professionals and authors to contribute their own reading lists. The lists and those books are accessible on-site and online.